Bowtie Tony’s Welding serves residential, commercial, and industrial customers in the Denver Metro and Northern Front Range, Colorado region with expert welding services. We have completed countless projects where professional welding was required for structural strength, stability and functionality. Bowtie Tony’s Welding are fully licensed, insured and ASME (American Society of Mechanical Engineers) certified in a wide variety of disciplines such as pipe and structural welding and fabrication. 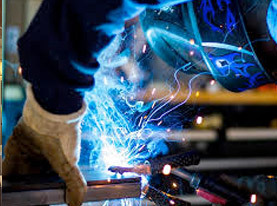 We follow all of the necessary safety precautions and procedures, and our mobile welding trucks are fully equipped with all of the best and well maintained equipment. Our owner has over 20 years of experience and supervises every project. Bowtie Tony’s Welding understands the high stakes of the welding projects we are hired to complete. In many instances, human safety hinges on the precision of a weld and the purity of a system. Call on us to help you find your next solution. Whether your project requires MIG, TIG or stick welding, Bowtie Tony’s Welding are the experts in precision welding solutions. We are ASME certified and experienced in welding both similar and dissimilar metals. 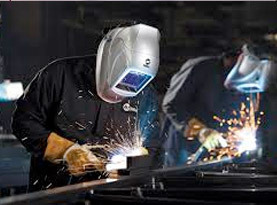 In fact, many of our customers have called upon us to weld together custom unique assemblies to best meet their needs. Our team excels at producing standard as well as complex configurations. From small connections with challenging weld angles to large, complicated projects; Bowtie Tony’s Welding has been asked to do it all, and we have delivered every time! People often don’t think about utility pipes until there is a problem but pipes carrying gas, water or petroleum can cause a major disaster if they are not maintained and repaired correctly. That is why you need a professional X-Ray certified pipe welding company like Bowtie Tony’s Welding at the ready. Thanks to our mobile welding services, we can come to you anywhere in the Denver Metro & Northern Front Range, Colorado area. We are trained to the highest standard and work to the strictest safety codes, especially when working with volatile gases or liquids. We offer professional on site utility pipe installations, repairs and replacements. No job is too small, no distance too far! 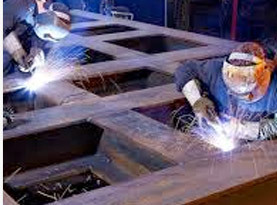 Bowtie Tony’s Welding provide structural welding services to home and business owners as well as contractors and other professionals. Structural steel is commonly used to distribute loads in homes, condominiums, shopping centers, schools and hospitals. Our staff has experience with many applications of architectural metalwork. When it comes to metal fabrication projects of any kind, Bowtie Tony’s Welding offers you the most reliable welding services. You can trust us to produce your structural steel or other metal to the exact specifications of your project. 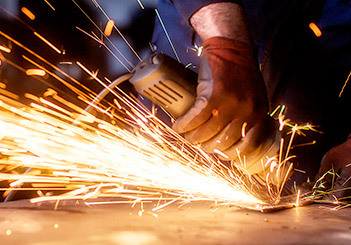 Our team of welding and fabrication technicians understand there is no room for error in metal fabrication! Bowtie Tony’s Welding are happy to provide an affordable quote for your fabrication project today. And if you are not sure what your project requires, let us use our knowledge and experience to help take your project from concept to completion without problems or delays. All of our fabrications are custom to our customer’s needs and ideas. We’ve fabricated all kinds of interesting objects for our customers who consist of homeowners, designers, contractors, engineers, industrial companies, management companies and much more. Bring your ideas to us and we’ll work with you to make them happen! Bowtie Tony’s Welding can repair parts, equipment and structures of all shapes and sizes. If it’s made with metal, we can repair it! We can build and repair trailers of all sizes and uses, as well as many other specialized items for your home, business, or farm needs. 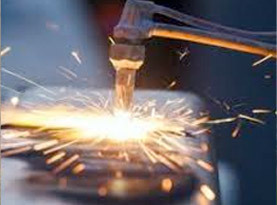 Bowtie Tony’s Welding repair parts including piping, structural beams, pressure vessels, heat exchangers, pump bases, platforms as well as many others. Bowtie Tony’s Welding can weld dissimilar metals, seam welding, hard face, narrow groove, and strip pieces. Our trucks are fully outrigged and able to get just about anywhere in the Denver Metro and Denver Metro and Northern Front Range, Colorado region. Contact us today!